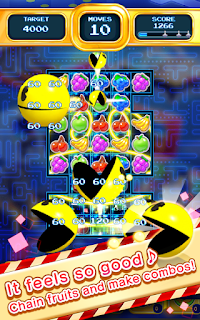 Pac-man Puzzle Tour by Bandai Namco is a fruity 3-match puzzle game now available for your phone or tablet. Match your way to a high score and conquer goals to advance to the next level. Unlock special power-ups to clear fruits and hidden ghosts even faster! 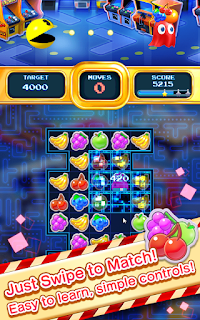 Scrumptiously Addicting Arcade Game: PAC-MAN Puzzle Tour features simple to learn and deliciously addicting matching gameplay you already know and love, but with new PAC-twists! Crush Your High Score: Make fruit chains, match multiple fruits, and use special items to clear levels faster and get higher scores. You can even unlock special guests to help you along the way! Meet (and Catch) All New Ghosts: Inky, Blinky, Pinky, and Clyde have brought all new ghostly friends – face off against ghosts with all new special abilities! Face off against the Crystal Ghost, Mechanical Ghost, and more! Play as you like: Customize your icon and show it off to your friends. In addition to PAC-MAN and the ghosts, you can even select characters from other games, like Mappy or Katamari Damacy. Take a Tour: This tasty puzzle game starts you off in the original home of PAC-MAN, the arcade! PAC-MAN will take off and chase the ghosts through a variety of fun locations, starting with the classic arcade and touring all over the world! Pac-man Puzzle Tour is a real winner! If you are a fan of 3-match games like Candy Crush and Bejeweled Blitz, I think you'll really enjoy this one. Each level has different goals, so it keeps the game fresh. 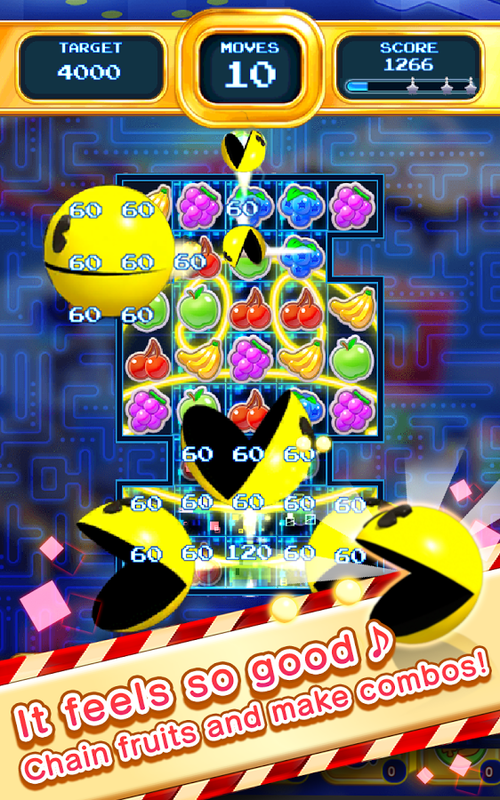 Some levels require a point goal with a set amount of time while other levels require matching hidden ghosts within the fruits within a set amount of moves. There are even levels that have biscuits that you must drop all the way down the board.